For some unknown reason, my virus protection on at least two computers failed/crashed and refused to start again. On these two computers I was using avast! Antivirus Free. The last time that I checked on it, it was version 5 of the software. The change to a new engine, the latest is version 6, may have been the thing that broke it. Either way, this was an opportunity to check out the landscape of free anti-virus products out there for the home user. If you’re still using any Norton or McAfee products at home. Stop!! Uninstall that software right now and install one of these free alternatives. Why? In a word, expired subscriptions. 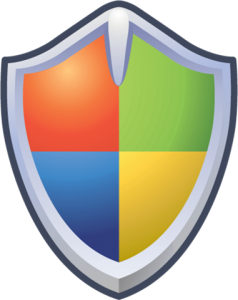 Most home users get a 90-day trial of one of the commercial antivirus programs on their new Windows-based computer. When the 90-days is up, there is a nag screen that will tell you that it’s expired, but more often than not the warning gets dismissed and from then on the computer is out of date with the latest virus definitions. That means you’re at risk of getting a nasty virus. I’ll let you explore these alternatives on your own, but I have used AVG, avast! and Microsoft antivirus products personally. They all work and I’ve never had an infection on any computer with these products installed. The most interesting one of the bunch is the Panda Cloud Antivirus. The reason being its described as “Light”. That’s a great thing in an antivirus. It shouldn’t slow down the system its protecting. The lighter the better, so this is one I’m going to do some more research on. So, which one did I pick? I could have reinstalled avast! and tried that again, but instead I went with Avira this time around. Let me know your opinion of these free antivirus applications in the comments.